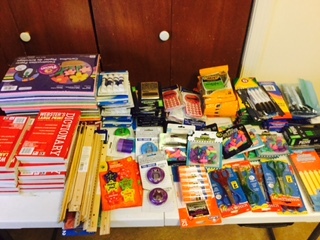 Months before we booked our 2016 cruise, my wife Patricia and I started filling our go bag with PfaP items. In April 2016 we made a decision that our transportation was going to be Holland American’s Koningsdam. Once the cruise was reserved, we made contact with Ottley’s Plantation Inn on the Island of St. Kitts and Nevis. 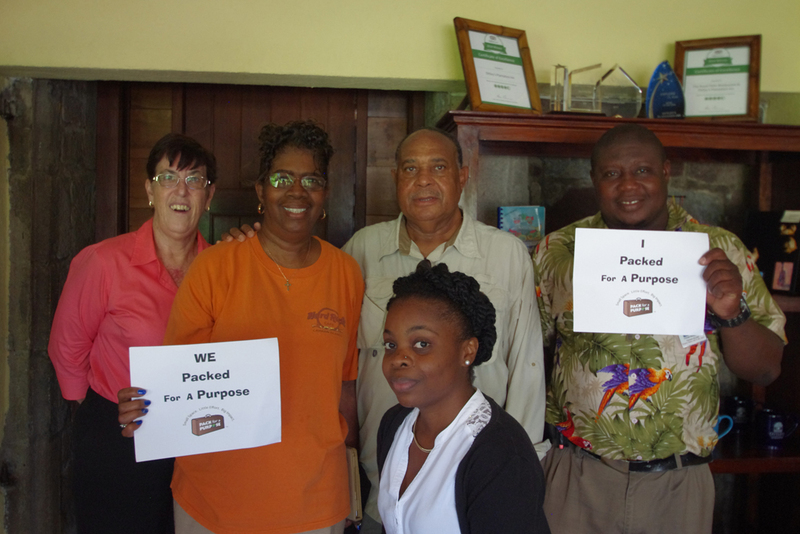 Our contact person was Janet Leader, the reservation Manager at Ottley’s Plantation Inn. Ms. Leader kept in touch with us until our delivery date of Nov. 30, 2016. We promised we would arrive by 11 a.m. She and a staff member were waiting for us. They were surprised on our arrival because we were a little late. We had a 28-inch Pullman full of school supplies. When the bag was delivered to our cabin, it had been dropped and had minor damage to the wheels. We were told by Holland American the bag was so large it had to be declared at customs on St. Kitts. Holland American assisted us through customs. –Henry & Patricia Jackson of Hollywood, Maryland, U.S.A.